There are many situations when shared classrooms are the only options for teachers and students. 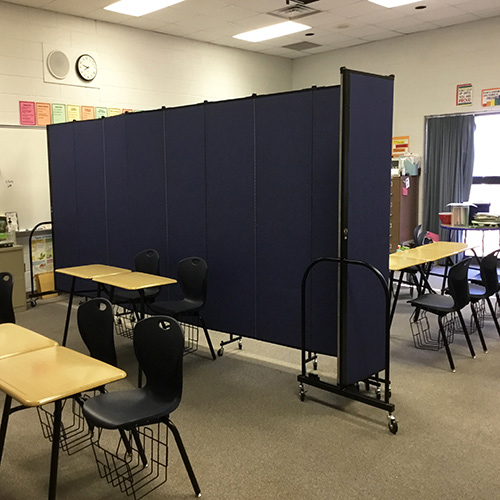 However, Screenflex Room Dividers can make this space more conducive to teaching and learning. In addition to providing a clear division between the classes, the sound absorbing properties of the dividers dampen the sound between the classes. This allows each class within the shared classroom to have their own private space. This privacy limits distractions and contributes to the overall learning experience for the students.